Beautiful property with wonderful views of the castle. Staff is most accommodating and always willing to help. Breakfast was excellent and you are able to order an omelet or other hot items in addition to the breakfast buffet. Food was excellent. Where to find Sankt Anton im Montafon hotels near an airport? 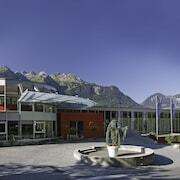 Where can I find hotels in Sankt Anton im Montafon that are near tourist attractions? Planning to spend some time in Vorarlberg? Hoping to reserve accommodation in or near Sankt Anton im Montafon? Within 0.1 kilometres (0.06 miles) of the heart of town, you'll find 9 Expedia-listed hotels and apartments. 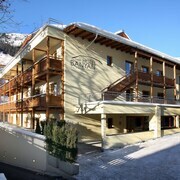 A convenient option if you want to stay near the downtown of Sankt Anton im Montafon, is the Relax- und Vitalhotel Adler. 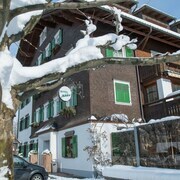 30 kilometres (17 miles) from the main part of Sankt Anton im Montafon, is the Piz Buin Hotel. 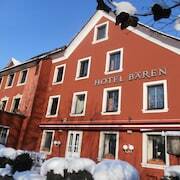 The Hotel Tannbergerhof is situated 25 kilometres (14 miles) away. 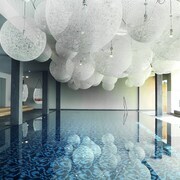 Another possibility is to check out the amenities and rates at the Kristiania Lech or the Omesberg. Bregenz is 45 kilometres (27 miles) to the north of Sankt Anton im Montafon and is home to the Kunsthaus Bregenz and Pfander. 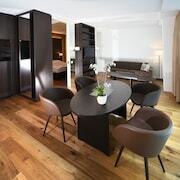 If you'd like to spend a night or two in Bregenz, check Expedia's booking pages for the latest deals at the Hotel Weisses Kreuz and Seehotel Am Kaiserstrand. Or, you could consider staying in Andelsbuch, 30 kilometres (20 miles) to the north of Sankt Anton im Montafon, where you'll find the Hotel Hirschen Bezau and die Sonnigen. The Andelsbuch Mountain Railway and Bregenzerwald Workroom are a couple of the more popular points of interest to check out should you visit Andelsbuch. Before you say goodbye to Vorarlberg, ensure you catch some local sport. Visit Birkenwiese Stadium to the north of Sankt Anton im Montafon. 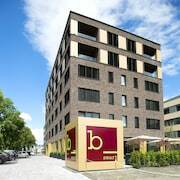 For travelers who are keen on staying nearby, make a reservation in the Hotel Restaurant Hirschen Haselstauden or Vienna House Martinspark Dornbirn. Situated 50 kilometres (30 miles) away from Sankt Anton im Montafon is St. Gallen - Altenrhein Airport. Stay nearby at Hotel Heiden Swiss Quality or Best Western Hotel Rebstock. 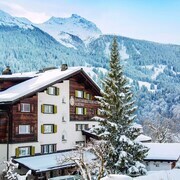 What are the most popular Sankt Anton im Montafon hotels? Are there hotels in other cities near Sankt Anton im Montafon? 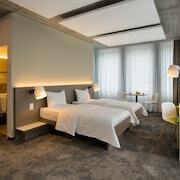 What other types of accommodations are available in Sankt Anton im Montafon? Explore Sankt Anton im Montafon with Expedia.ca’s Travel Guides to find the best flights, cars, holiday packages and more!